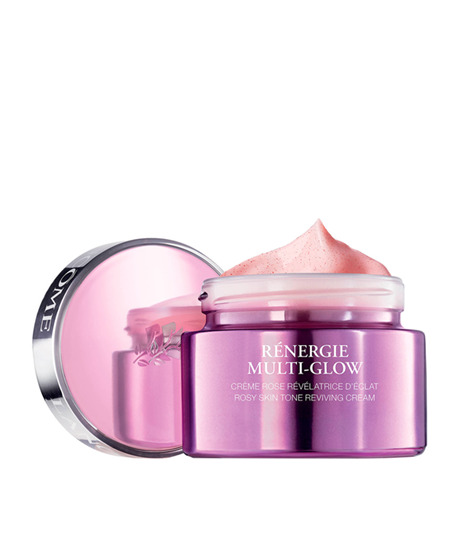 Renergie Yeux Multi-Glow is Lancome's first replenishing under eye cream specifically formulated to address women over 60's eye contour concerns. Our under eye cream is infused with Schizandra red berry extract and linseed extract, replenishing the skin with moisture and relieves tired eyes and revives the look of the eye contour over time. Under eye wrinkles appear smoother and your skin feels smoother. Renergie Yeux Multi Glow under eye cream is to be used daily on a cleansed face on the contours of the eye. Apply a small amount, softly massaging the skin letting the product penetrate without hurting the sensitive skin around the eyes.